Contact us now for Immediate response and save 10%! Guaranteed to beat any written quote! Yes! we are involved heavily in insurance work. 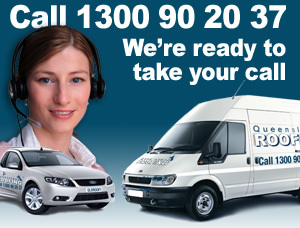 Please contact us for a quick response. Insurance Company inquiries welcome. 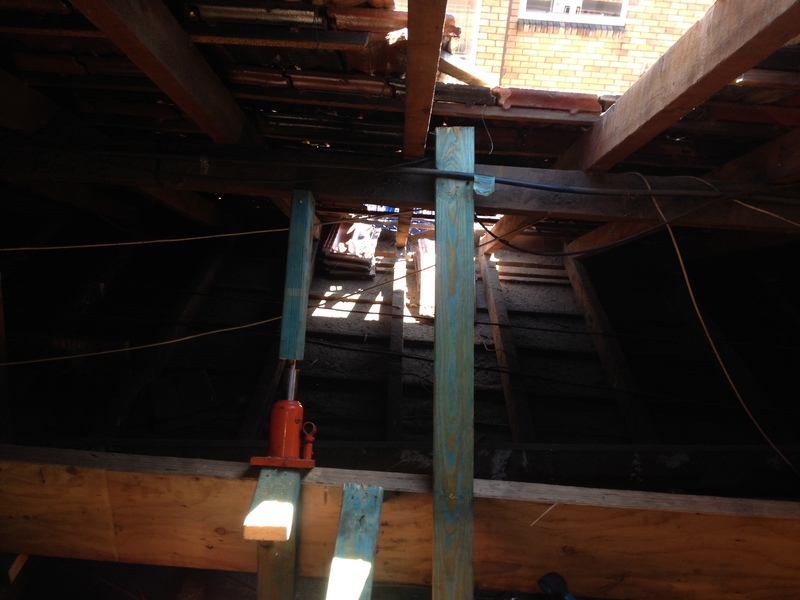 Termite Damage is a large part of our carpentry work as it is often run in conjuction with roofing works. On many occasions leaks and roofing defects are found after termite damage has occured as they are a direct result of termite interference. 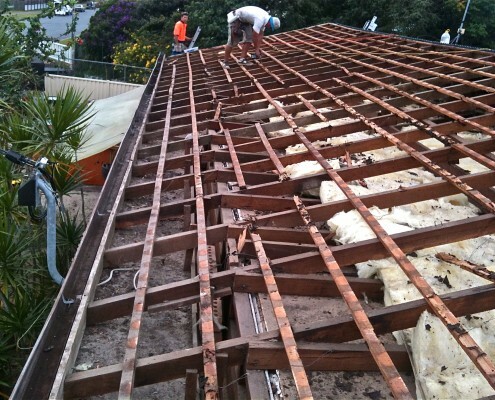 Justin Boultin (Queensland Roofings head trades person) is a highly skilled and trained in pest control, not only can we perform the roofing and carpentry work required but assist in preventative treatments to stop the damage occuring again. 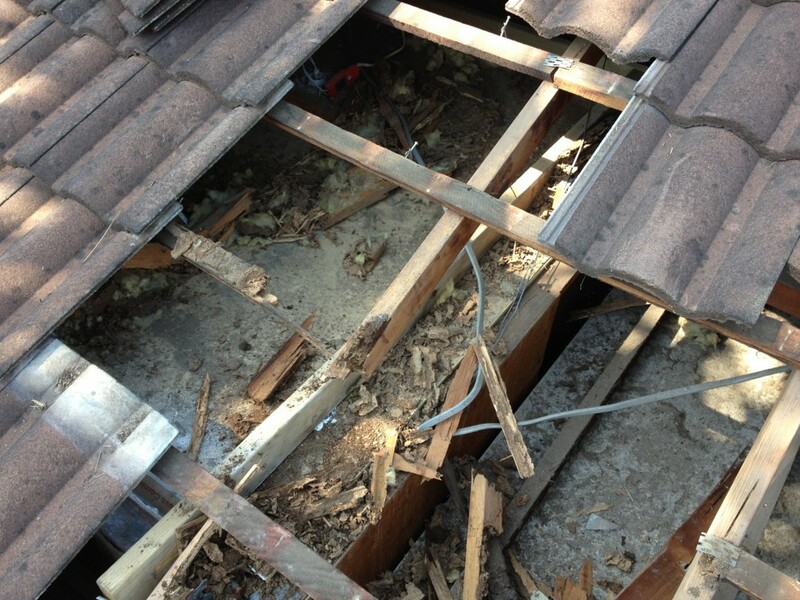 Every year we work on a large number of roofs that once investigated, prove to have some termite damage. Termites come in many shapes sizes and species. Not all termites are dangerous to your home, however the termites that are can cause serious damage. 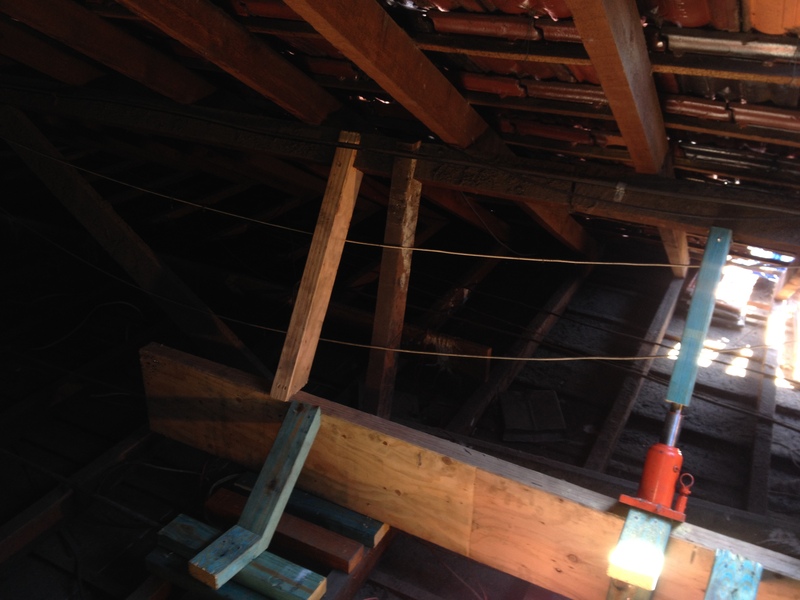 On many occasions to repair terminte damage we have had to replace important structural componants of the roofi trusses and walling fame work. Contrary to popular belief termites will eat hard wood and often for us to perform the repairs neccesary we have to work with hotwater plumbing, electrical and ceiling plastering and painting. We are highly trained for this work and performed it on numerous occasions with absolute success. 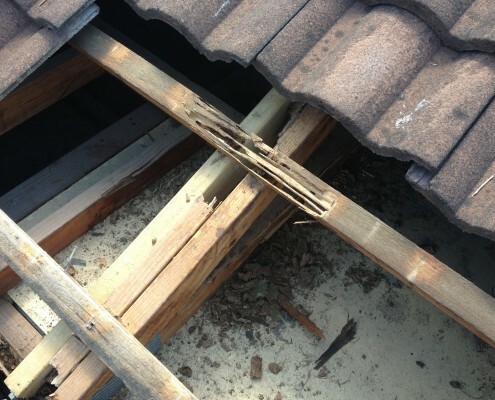 You can feel confident in Queensland Roofing when it comes to termite damage in Queensland. 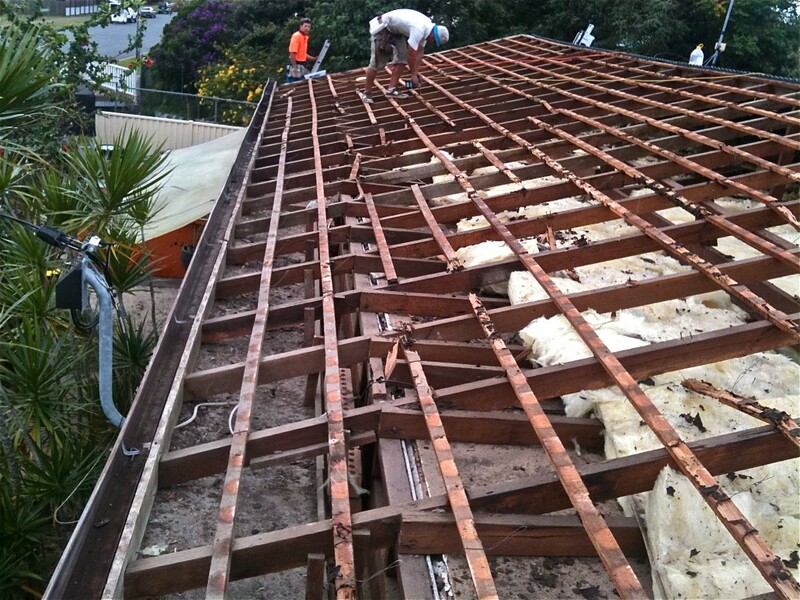 If you are unsure as to what sort of carpentry work Queensland Roofing performs give us a call and we will have one of our consultants discuss you job with you. 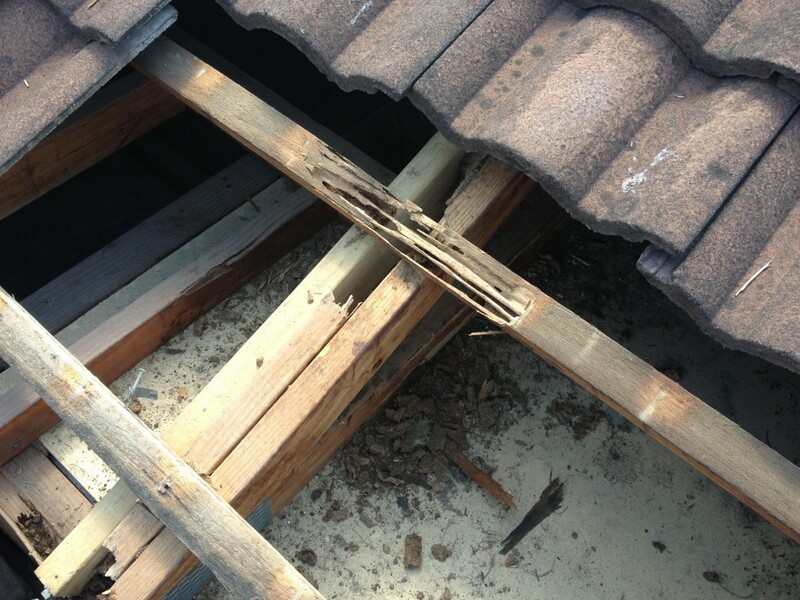 Due to the nature of the way that termites eat timber, sometimes the termite damage will occur in random patches. The termites will seat until the tension in the timber has reached a point where a potential collapse in immanent. Before this occurs they stop and then start eating through a different section or your timber. 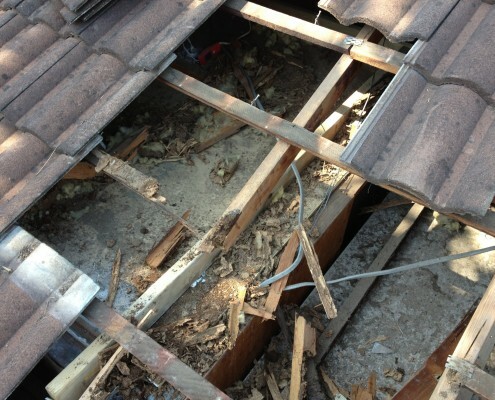 This can repetatively occur without the home owner knowing that the termite damage is taking place. To repair termite damage inside a roof, supports are often needed to prevent the risk of collapse. Various supports and props can be used to support the timbers while repairs take place.